Want to try your hand at making a raw vegan oatmeal for breakfast? Here's how to do it, using steel cut oats, water, and dates for sweetener. Following a raw vegan food diet for any length of time can occasionally leave you craving warmth, comfort and flavors of the past. This simple recipe for raw oatmeal can bring you back to the good ol' days. Soaking the steel cut oats the night before will make them much softer and easier to blend. They can also stay soaking in your refrigerator for days, even up to a week if you change the water once or twice, so feel free to prepare this raw oatmeal in advance. Follow this raw oatmeal recipe or top with any fruits, nuts and spices you love and have at home and enjoy your hearty, healthy, comforting and filling raw vegan breakfast oats. First you'll need to soak the steel cut oats for at least a couple of hours minimum, but better to soak them overnight in 4 cups of water if you have the time. You can also soak the dates to make them more blender friendly (especially if you are substituting a different variety of date!). If you're soaking the dates as well, you can use the date soak water as part, or all, of the 2 cups needed in the recipe to make it just a little bit sweeter. No reason not to! Next place the rinsed oats, dates, and the two cups of water (or, use some of the date soak water) in a blender or food processor and blend or process on high speed for about 25 seconds or until the mixture is smooth. Mix together the chopped apples, cinnamon and any other spices you like, and agave nectar, if youre using it. 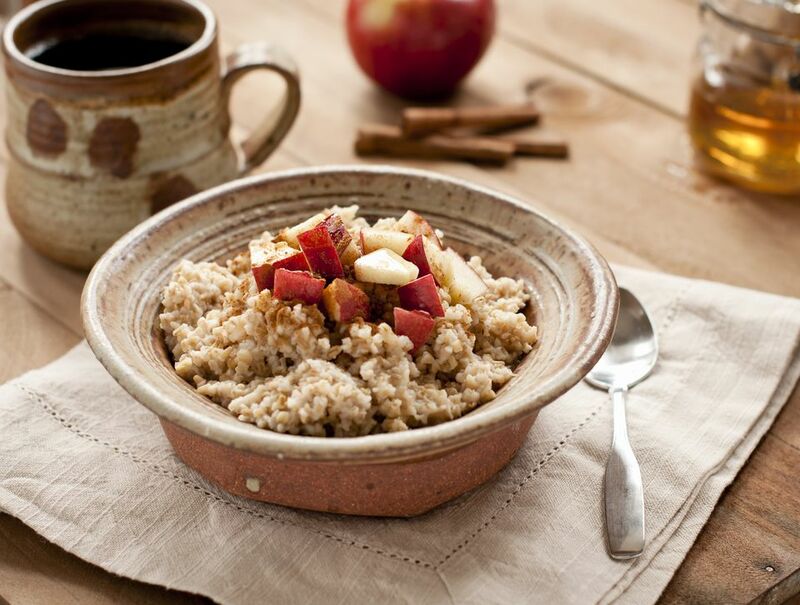 Portion out the oats into a bowl, top with the cinnamon apples and enjoy! It is also nice to top this raw oatmeal recipe with fresh raw vegan nut milk or seed milk such as this Raw Almond Milk, if you'd like. Enjoy!